The retreat takes place in a beautiful mountain resort, just 1.30 hours away from Bangkok. Participants stay at the resort with complimentary three delicious meals each day. It is the most sought-after retreat and usually is fully booked within five minutes of the open registration for Thais. The popularity of the retreat is due to the fact that Master DDnard practices side by side with all participants, while teaching and demonstrating how to easily observe your own mind and body's movement. The daily schedule is very simple to follow. Most participants agree that time sure flies during the four days of total mindfulness practicing. Her teaching and the stories she tells lead you to overcome any issue you are working on yourself, as well as allowing you to understand the mindfulness practice. Master DDnard has overcome her life challenges and has shown millions the way out of misery through her bestselling books and numerous free video clips on YouTube channels: compassbook and compassnlp. However, many of her readers feel they need an extensive guidance in order to tackle difficult issues in their lives--work and/or personal relationships. Her class has been well known as a once-in-a-lifetime class filled with valuable advice and incredible methods that help one heal one's own soul, build inner strength, and set ready for future love, peace, happiness and success. The participants value the 7-day course as their life transformation.The relationships between the master and the attendees, and the one among all participants have also become a lifelong one. To register or any further inquiries, please e-mail us at compassbook9@gmail.com For more info of the class and to see the video clips of the past classes and testimonials, please visit our YouTube channel: compassbook. 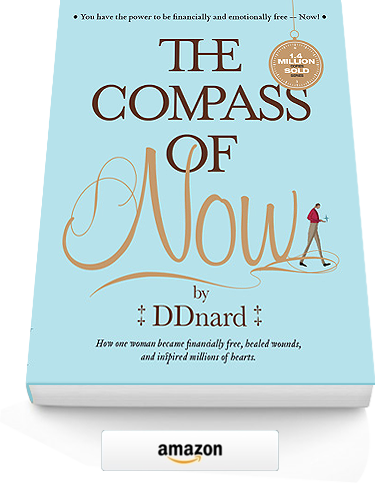 Master DDnard's renowned Compass Life & Mind Management Class is held once a month in Bangkok, Thailand. To register or any further inquiries, please e-mail compassbook9@gmail.com. For more info of the class and to see the video clips of the past classes and testimonials, please visit our YouTube channel: compassbook.